Have you been told that you may be suffering from hearing loss? You’ll need the best hearing aid available to keep your life going as normal. You’re going to need the quality of Beltone. Beltone is a popular brand with many models to choose from and great reviews. The question is though, are they right for you? We hope to answer this question for you. In this article, we’re going to go over who Beltone is, what they have to offer, and all the pros and cons of choosing their hearing aids to get you through any special event in your life. Beltone is owned by a Denmark company called GN Store Nord. They produce both Beltones and ReSound. Even though they are both made by the same company, they have their differences. The physical design of the two is pretty much the same but, they fit differently and use different software. Even with these two big differences, people who’ve used both swear that they are basically the same hearing aids. The only thing that’s different is their brand name. If you’re looking for credentials, Beltone is one of the bigs in the world of hearing aids. Their aids are top notch and Beltone was one of the first companies to make Made for iPhone aids. As far as choices, Not only are they high quality, but Beltone has many selections so it will be easy for you to find one that can easily fit in your ear and fit your unique hearing needs. There are many pros to going with Beltone Hearing aids. The three biggest ones are their helpful staff, how they handle their aftercare, and the technology that goes into each hearing aid. No matter your level of hearing loss, their staff will work with you carefully to figure out what your needs are. 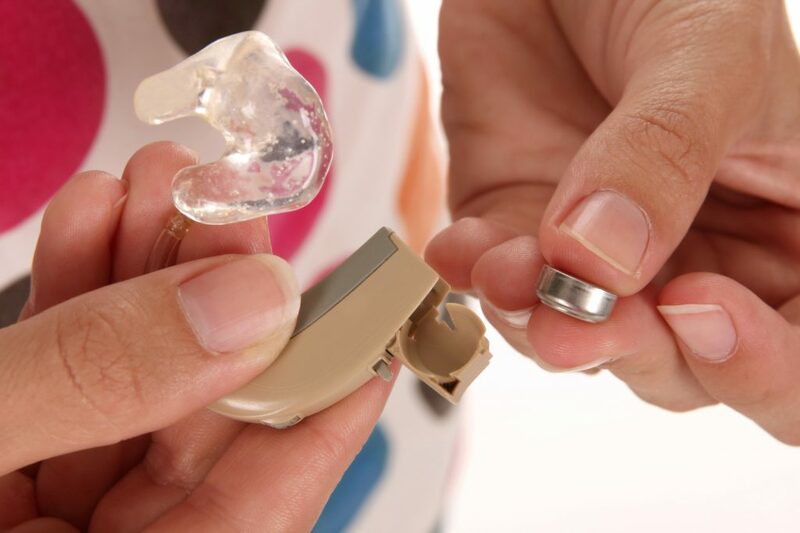 They will run a variety of hearing tests on you to help you find the right hearing aid. After your test, they will set you up with demo hearing aids and adjust it to your level. You’ll be able to see if the product will work for you before you even put in your order. There are a lot of manufacturers that charge you each time you need maintenance done on your hearing aid, but not Beltone. They offer free maintenance for as long as you use their product. If you have to have them worked on while you’re out of the country and Beltone has an office where you are, you can come in and have your hearing aid serviced and cleaned for free. If your hearing aid has been acting strangely and you’re afraid that it will go out, Beltone will offer you a free inspection. So when you choose Beltone, you’re choosing customer service. Beltone is a bigtime hearing aid company so you can trust what you get is going to be the latest thing on the market. One of the key things to note here is that you can control it with your phone. Not only can you control the hearing aids through your phone, but they come with Bluetooth so you can make calls with them. You’ll be able to make clear phone calls again and talk hands-free no matter where you are. No product is absolutely perfect. Everything has its faults and for Beltone, it’s a matter of locked hearing aids and the fact that you may be left feeling like you’re paying extra for the Beltone brand name. Once you purchase Beltone hearing aids that’s it. They use special software to service them that only works with their hearing aids and vice versa. This is called locked hearing aids and it leaves you sort of stuck. To put it in perspective, say you get Beltone hearing aids because there is an office near you and you heard they are good. If that office closes down, you won’t be able to go to another local provider to service your hearing aids if they start to have an issue. The only chance you’ll have is to send them to a Beltone provider, have them worked on, and then sent back to you. This means you could go days without your hearing aids. With any big name brand, you’ll feel like you’re paying extra for the brand name and that can be true in most cases. Not only that, but there is a lack of competition. You can only get Beltone hearing aids through a dealer and Beltone is a huge name. They aren’t going to send a bunch of dealers to small towns, so there isn’t really any competition amongst them. You won’t have a chance to compare prices to find the best one before you commit to buying. When you’re trying to find hearing aids, you want the best so you don’t miss the important memories in life. When you go with a Beltone hearing aid, you’ll get this as well as great customer service and the latest technology. Hear the world more clearly. Do you need a hearing aid but aren’t sure what type is right for you? Go here to read our latest hearing aid reviews.